With the subsequent downturn in the economy, outsourcing became an even more attractive opption for some funders. Today, more than ever, grantmakers facing fluctations in the economy need to work more resourcefully, efficiently, and effectively. 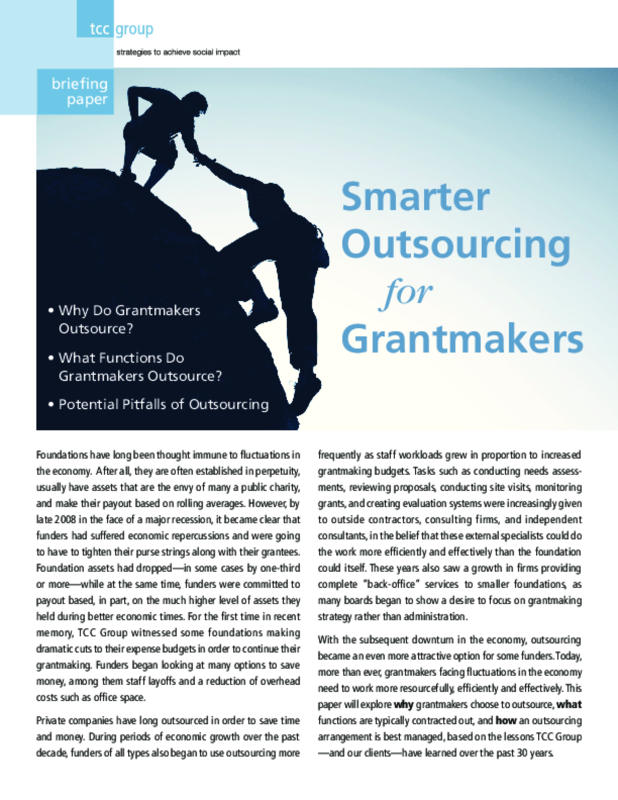 This paper will explore why grantmakers choose to outsource, what functions are typically contracted out, and how an outsourcing arrangement is best managed, based on the lessons TCC Group--and our clients--have learned over the past 30 years.